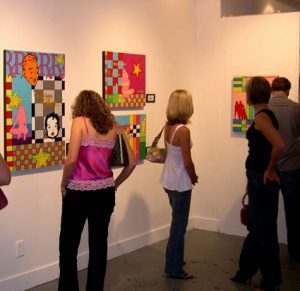 Past exhibit at ADA Gallery in Richmond, Va. The show at ADA Gallery in Richmond, Virginia went awesome. John pulled a massive crowd in from the streets of the City and I crossed paths with some super cool artists from the area. Many of my clients from RVA were able to make the event as well and then we all went downtown and got our party on!!! Thanks to John for an amazing evening at ADA. If you’re ever in the Richmond, Virginia area pop into the gallery! !